Why choose to become a holiday home owner in Cheshire? Conveniently located in the heart of Cheshire, 17 miles from Chester, 28 miles from Manchester and 30 miles from Liverpool. 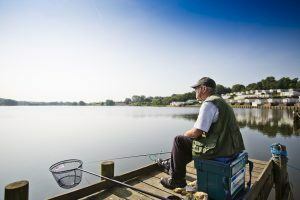 The park has a unique position looking over the Winsford Flashes, it’s never been easier to sit back, relax and enjoy one of the best views that Cheshire has to offer. We know that dogs are part of the family too so we welcome dogs onto Lakeside Caravan Park, so they can enjoy the holiday home too! With plenty of Dog-friendly walks in the beautiful Cheshire countryside to choose from, you and your four-legged friend will be spoilt for choice. Our friendly park team work hard all year long to make sure Lakeside Caravan Park always looks it’s best. It means that when you arrive at your holiday home you can sit back and relax! Making the most of your free leisure time doing the things you enjoy. We regularly hold Owners exclusive events on Lakeside Caravan Park to ensure you enjoy the Holiday Park even more. ‘Welcome Back’ Parties at the start of the season, Easter Egg Hunts, Annual Fun Days, Dog Shows and ‘End of Season’ Parties are just a taster of what is included. Why choose Lakeside? You can literally cast a line from your door into the lake – it really is a fisherman’s paradise. Cheshire is an area bursting with things to see and do from endless family attractions to beautiful gardens, stunning stately homes to spectacular shopping, there really is something for everyone. It is steeped in heritage and history and has plenty of places to eat and drink. You may prefer to take things easy when you are at your holiday home – rest assured a holiday home in Cheshire is the perfect destination for either relaxation, adventures or a little bit of both. Owning at Lakeside Caravan Park is much easier than you think, our helpful team will guide you through the purchasing process and answer any queries you may have. 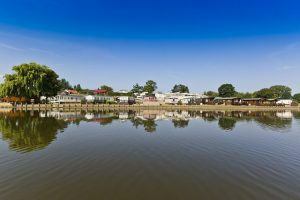 Simply request a viewing and take a park tour on Lakeside Caravan Park and start your journey to a new lifestyle.